Abu Dhabi: Renewable energy company Masdar is scouting for new opportunities in Saudi Arabia as the kingdom focuses on the development of renewables over the next ten years. Speaking to Gulf News in an interview on the sidelines of World Future Energy Summit in Abu Dhabi, Masdar CEO Mohammad Al Ramahi said Saudi Arabia is an important regional market. “We are currently playing a role and we will continue to assess opportunities in the kingdom. It is a huge market,” Al Ramahi said. Saudi Arabia is targeting a renewable energy capacity of close to 60 gigawatts by 2030, the kingdom’s energy minister Khalid Al Falih said during a speech at the summit on Tuesday. Al Falih said Saudi Arabia would be tendering not less than 12 renewables projects in 2019, with more expected in the coming years. Last week, Saudi Arabia’s Ministry of Energy, Industry and Mineral Resources awarded the kingdom’s first utility scale wind project at Dumat Al Jandal to a consortium comprising Masdar and EDF Renewables. The project is worth $500 million (Dh1.83 billion) and will churn out 400MW of power, enough to supply up to 70,000 Saudi households. It is expected to create 1,000 jobs during both construction and operation. Al Ramahi also said Masdar is currently building a 50MW wind farm in Oman. The project is expected to be ready by the end of 2019. The Abu Dhabi-based company, which is fully owned by the Mubadala Investment Company, is also looking at more acquisitions in the United States after it agreed to acquire stakes in two wind farms in New Mexico and Texas. “When we enter a market, we are there for long, not for [the] short [run]. So this is only a stepping stone. There should be more,” Al Ramahi said. According to him, India, China, Thailand, Indonesia and other countries in south-east Asia are markets which the company looks to enter in future. “India is an important market. In the past five years, the Modi government pushed the agenda for renewable energy at a higher level in terms of priority and that allowed investors to come and put in billions of dollars,” he said. “Masdar is yet to get into the India market but our sister company Adia [the Abu Dhabi Investment Authority] is a major shareholder in a big renewable energy company. We are assessing opportunities, be it in India, China, Indonesia, Thailand or elsewhere. Our doors are always open,” he said. 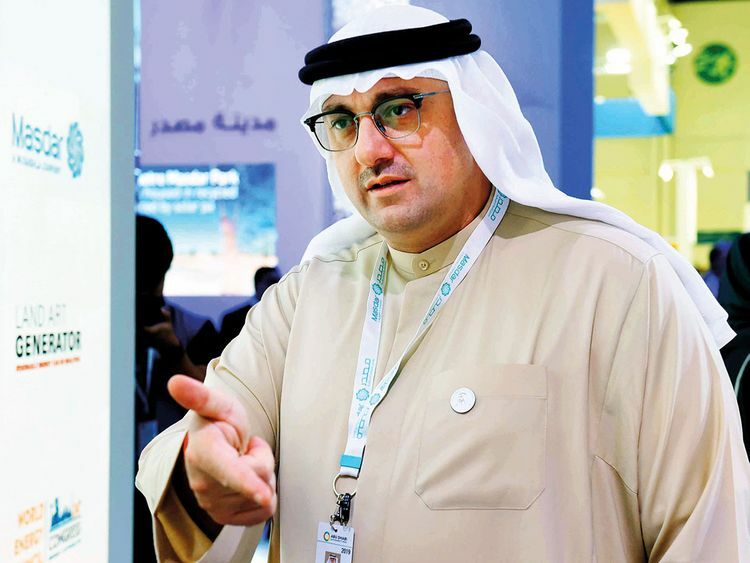 On the growth of renewable energy sector, Al Ramahi said it was seeing double-digit growth on an annual basis, compared to conventional power generation that has been growing in the low single-digit range globally. The Abu Dhabi Power Corporation, Mubadala and Masdar on Wednesday announced a strategic partnership to support Abu Dhabi’s development plans for a sustainable future across the power and water sectors. Under the agreement, projects related to water desalination and with a production capacity of over 400 million imperial gallons per day, and renewable energy of over 5 gigawatts (GW) of electricity in the form of solar and over 2GW of conventional power generation will be taken up over the next five years. The projects are expected to be tendered during the first half of 2019 by the Emirates Water and Electricity Company (EWEC), a subsidiary of the Abu Dhabi Power Corporation, according to a statement.